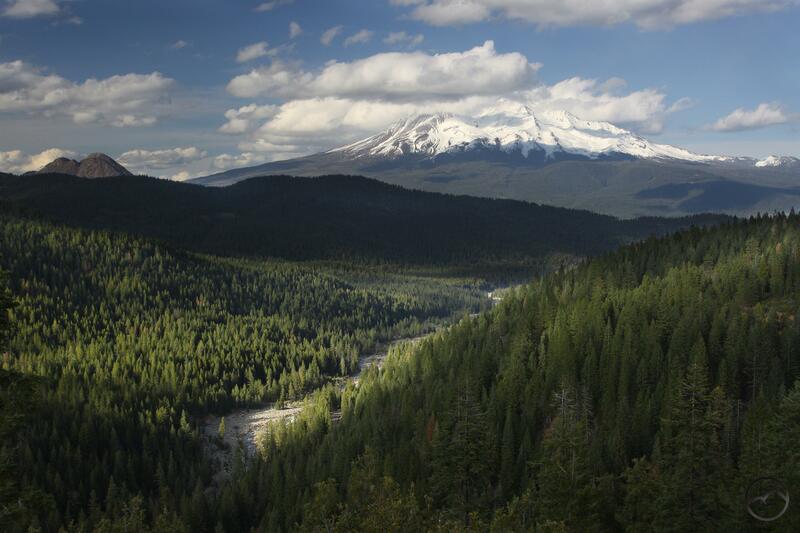 Mighty Mount Shasta towers above the newly constituted Sacramento River. With California still emerging from a terrible drought, water remains at the forefront of many discussions. 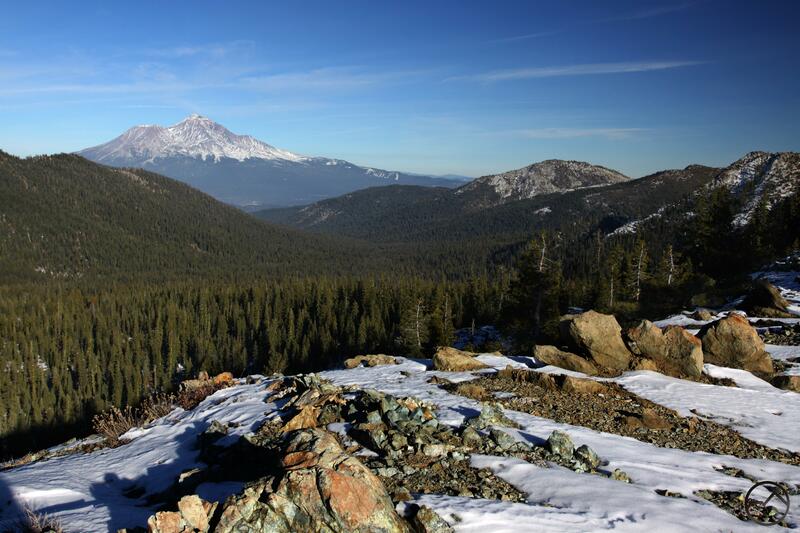 This holds true here in Mount Shasta, though much of the attention is focused on the vast underground aquifers that supply the area’s abundant springs. Yet there is another source of water that is often overlooked in discussion and it is one that is affected by the drought in a much more tangible fashion. 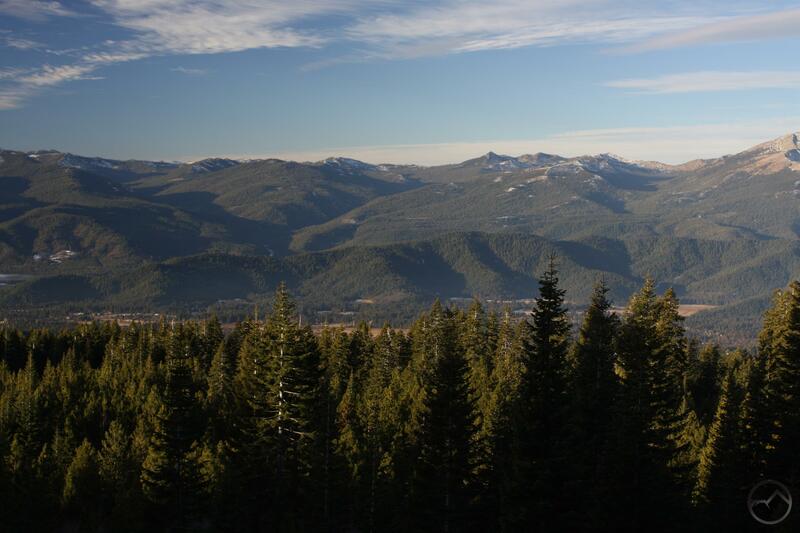 The source in question is the lakes and meadows of the Trinity Divide that feed the Sacramento River. These are particularly important since they mark the beginning of California’s largest, longest and perhaps most utilized river. A view of the three headwater canyons of the Sacramento. The importance of the Sacramento River makes exploring the headwaters all the more interesting and there are many areas to explore and enjoy. 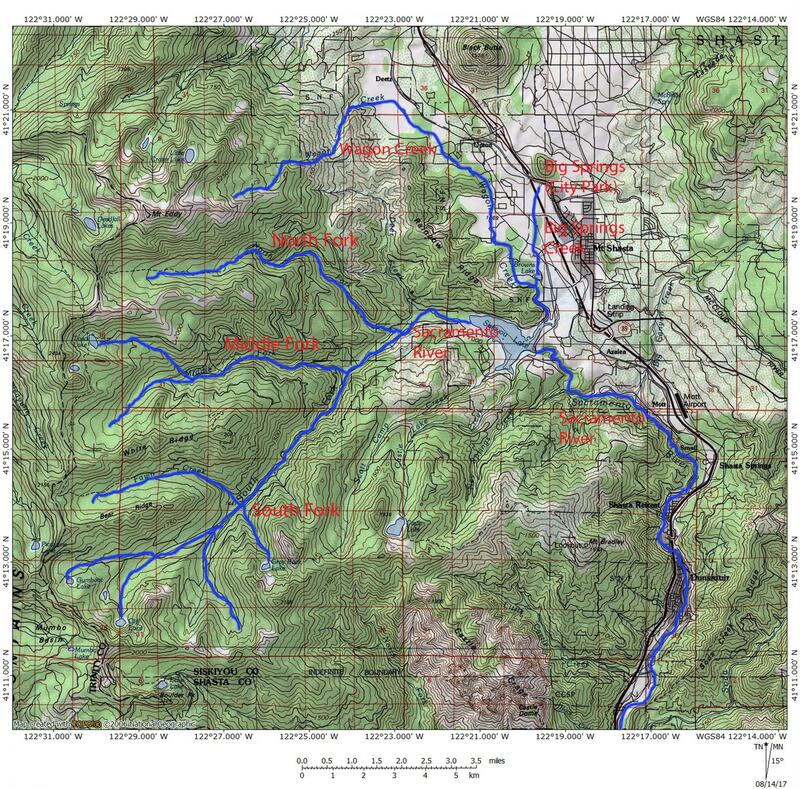 The headwaters consist of three forks, the North, Middle and South. They originate from progressively more complex sources. The North Fork begins in a series of large meadows, the water slowly seeping to form the clear running stream. The Middle Fork contains some meadows but to these are added a trio of lakes, most notably Toad Lake. Interestingly, Porcupine Lake has no outlet but springs far below the lake indicate some underground flow of water. In contrast to the previous two branches of the Sacramento, the South Fork has a large collection of lakes and meadows, forming the most varied and expansive headwaters. All three forks flow through rugged canyons before joining together and forming the main stem of the Sacramento River. All three forks have interesting hiking to offer, but it is the South Fork that will draw the most interest due to its numerous trails and ease of accessibility. 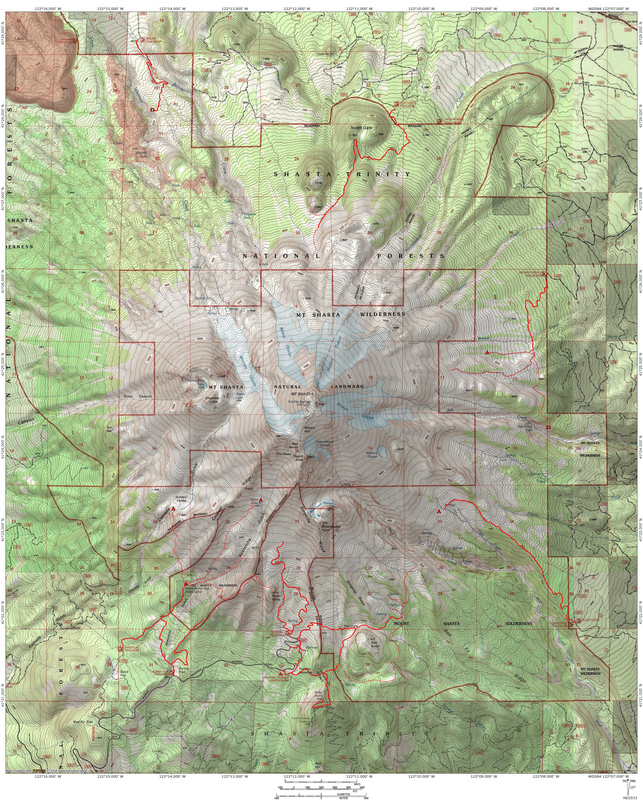 The most diverse and complex of the three forks, with the largest watershed, this area has many trails but also boasts a respectable amount of wild, rarely explored land. Indeed, a small portion of this watershed even falls within boundary of the Castle Crags Wilderness. Forest Road 26, often referred to as South Fork Road, climbs through the canyon and passes beyond it into Trinity County. All of the trails around the South Fork are accessed via this road, though some require further driving on dirt roads. Further thoughts on the headwaters can be found here and here. Toad Lake lies at the head of the Middle Fork. There are not too many trails around the Middle Fork. With no roads or trails along the river, it is remote and often hidden away deep in its canyon. However, the Pacific Crest Trail provides great access to Porcupine and Toad Lakes, as well as numerous springs that contribute their water to the river. A bumpy dirt road does climb through the canyon to Toad Lake and makes a very interesting drive. From the end of the road it is possible to hike the Toad Lake Trail to the old campground by the lake and then continue on a short distance to the PCT and destinations beyond. North Fork headwaters beneath Mount Eddy. The headwaters of the North Fork are the most remote of the three branches of the Sacramento. There are no lakes like the other two forks of the river. Instead, the northernmost branch emerges from a large complex of meadows that lie at the head of “Foxtail Basin”, a high elevation bowl below Mount Eddy. With no roads leading to it, access is only on foot via the Sisson-Callahan Trail. 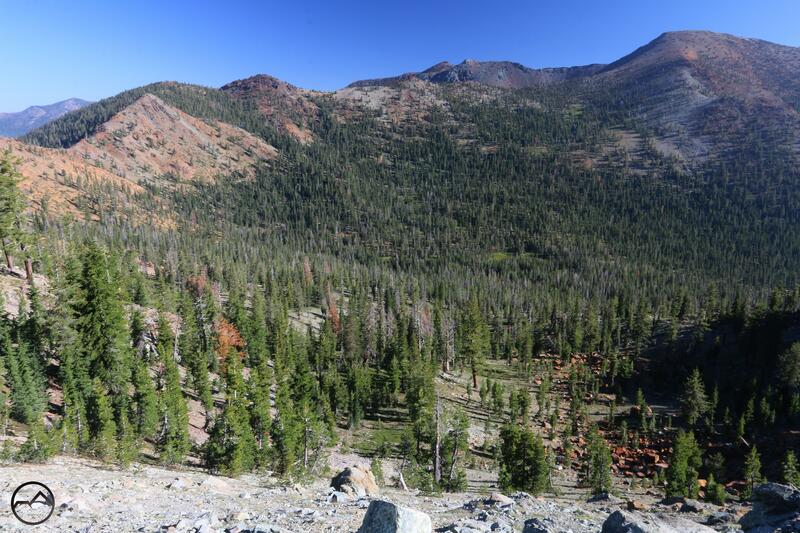 This historic path was once the main route from Mount Shasta to the small hamlet of Callahan, where the mid-19th century’s main stagecoach line once passed through. Though other remnants of the trail exist, the section running along the entire length of the North Fork of the Sacramento is the most interesting and in the best shape. For those willing to make the long hike, an exciting, beautiful journey awaits. More thoughts on it can be found here. There are a couple of other great ways to explore the headwaters of the Sacramento River. The first is the awesome loop around all three forks of the river that I have proposed before. 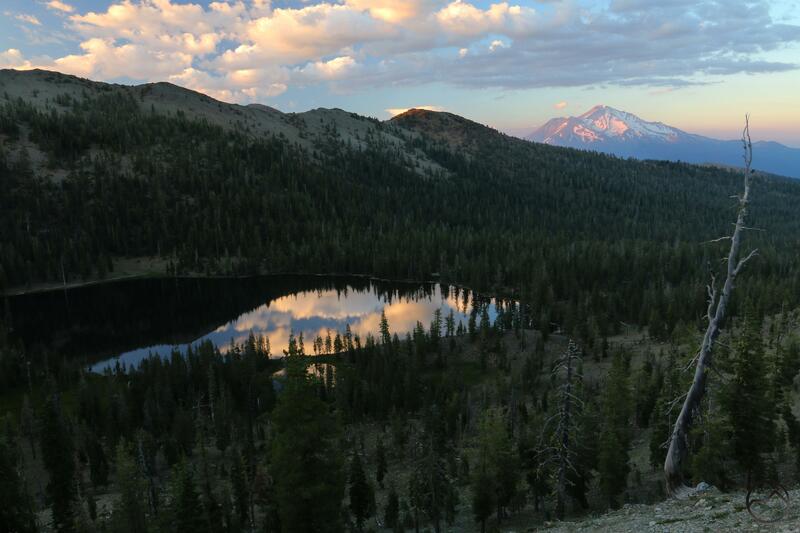 A multi-day backpacking trip, this journey would pass through spectacular mountain terrain and yield amazing views of Mount Shasta and the Trinity Alps. The other great way to enjoy the river is by hopping the rocks at the confluence of the forks. The first to meet is the South and Middle Forks, though this area is a little tougher to access. A little further downstream, there are some great swimming holes and then the river’s plain widens out and is covered by a large boulder field. The area around the confluence of the main stem and North Fork is perfect for families to enjoy a day with the cool, rushing water and large, technicolor rocks. Not far from here, the river is impounded to form Lake Siskiyou and then begins its headlong journey to the Pacific Ocean.